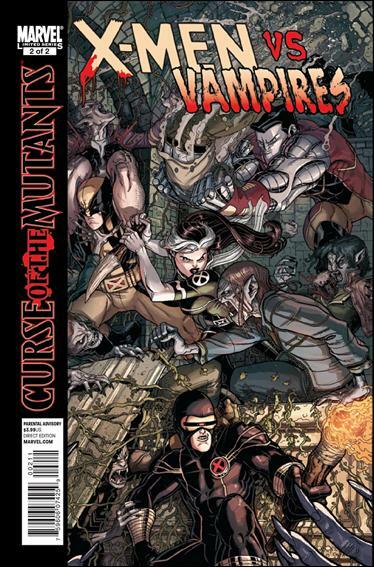 *X-MEN -Written by SIMON SPURRIER Penciled by GABRIEL HERNANDEZ WALTA Cover by CLAYTON CRAIN Eager to do their part in stemming the vampire invasion of San Francisco, the X-Men's Science Team works to find a cure for vampirism. Bringing a vampire into their lab for examination, the scientists find themselves in over their heads when the monster escapes. With the lab on lockdown and a vampire on the loose, the X-Club is sure of only one thing: it's going to take more than a doctoral degree in biochemistry to survive this night! 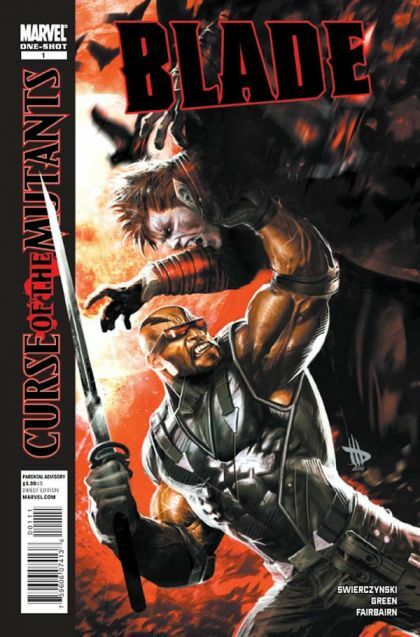 **BLADE -Written by DUANE SWIERCZYNSKI Penciled by TIM GREEN Cover by DAVE WILKINS Someone? something? is killing vampire slayers all over the world. Blade, the biggest, baddest slayer of them all, gathers an emergency assault team to blitz the bloodsucker underground and force answers out of whoever's not reduced to a pile of smoking ash. But Blade's not going to like what he hears. A new dawn is rising for the vampire nation. The rules are about to be rewritten, and Blade's about to go to fang-to-fang with a new threat he knows he can't fight alone? ***STORM & GAMBIT -Written by CHUCK KIM Penciled by TBD Cover by MICO SUAYAN As an army of vampires descends on San Francisco, the X-Men find themselves in dire straights. The good news is that they may have just discovered a means for stemming the invasion. The bad news? What they need is in the clutches of the vampires themselves. Luckily, the X-Men have two thieves in their employ that may just be able pull off such a heist. Hold on to your wooden stakes, X-Fans?STORM and GAMBIT are in for a bumpy ride!